Maintaining your gutters in a pristine condition is essential if you want to prevent damp and water damages to your property. 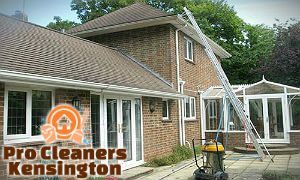 If you cannot spare the time or simply lack the equipment to clean your guttering system, then the professional gutter cleaning services our skilled team carries out across Kensington are just what you need. We can clean all debris from your gutters and unclog blockages in your downpipes at a competitive price. We use only professional equipment and all operatives on our team have gone through an extensive training. 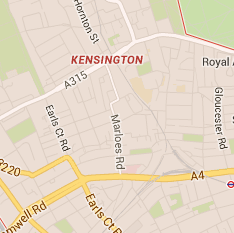 The service is available throughout the week, so don’t hesitate to contact us for an appointment! Many people underestimate the importance of having a clean, debris-free guttering system. Yet, using our professional gutter cleaning service in SW7 can save you from incurring greater expenses in the long term and prevent foundation cracks, mould formation, basement flooding, and other costly damages. Some people believe hiring a professional company to clean their gutters is way too costly. However, this couldn’t be further from the truth and our moderate rates serve as a proof. Once you contact us, we will dispatch our experienced and skilled operatives to your property for a free evaluation of your gutters. This will help them determine the price beforehand and evaluate the condition of your gutters. The team will use specialised equipment, such as light-weight, telescopic poles and wet/dry vacuuming machines, capable of unclogging even the worst blockages. Once the debris is cleaned, the functioning of your guttering system will improve dramatically. 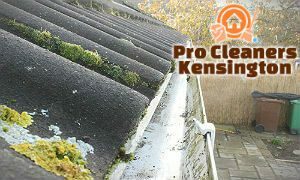 All gutter cleaning jobs we undertake go hand in hand with a one-month guarantee for your peace of mind. 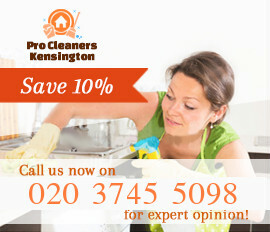 We’ll be happy to hear from you, so make sure you call to receive your free quote!